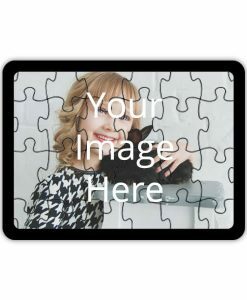 yourPrint.in lets you customize and create your own photo printed Jigsaw Puzzles games online. These are perfect gifts for children of all age groups. This is the best way to engage your children's minds in a productive activity, away from all distraction in their free times. The Jigsaw Puzzle is printed with your images/logos/text and the print is permanent and realistic in each and every aspect. The puzzle keeps your child engaged in a productive pastime and develops the analytical and thinking abilities of your children. 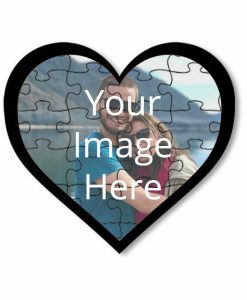 What is a Personalized Puzzle? We, at yourPrint, specialize in printing products with your valuable pictures. Emerging from the same thought, yourPrint.in brings to you custom printed jigsaw puzzles which can be customized easily as per your preference. You can upload your pictures on yourPrint website or App and get a beautiful, personalized jigsaw home-delivered within 4-6 working days. We deliver to all destinations in India and abroad. Our shipping partners deliver on COD & Prepaid modes as per your preference. 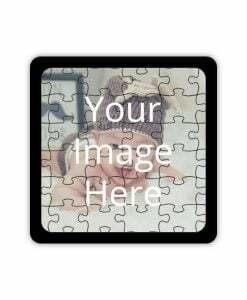 Jigsaw Puzzle Games with your Pictures - the perfect Gift! Make your gifts unique by personalizing them at yourPrint.in, with your beautiful memories that are captured as images. Be the creator of your own products, which can be designed within seconds on yourPrint App & website. You can access our website on Mobile, Tablet or Desktop PCs. The puzzles are available in various shapes, sizes and patterns. We deliver to all cities in India - including Delhi, Mumbai, Bangalore, Panipat, Karnal, Ambala, Lucknow, Kanpur, Pune and more.